Planner: So I’ve been tasked with getting Mums to buy this meat based snack for their teenage sons – I don’t know how. Me: (Amongst other ideas) Have you looked at if they are into social gaming etc? Planner: I said 18-21 year old GIRLS – obviously not. Planner: (5 mins later having investigated our in-house CCS survey which recently had a gaming addition.) What do you know, 18-21 year old girls have an index of over 300 against karaoke and fitness games and also seem to love online casual games. – I don’t buy it though. And here is the problem – all the evidence in the world doesn’t seem to convince your average media planner that anyone except 10-20 year old boys play games. These planners are willing to ignore vast swathes of statistics which claim otherwise and would rather base their decisions on what media planners and friends of media planners do. It’s weird – I never watch crappy daytime TV but all the statistics tell me that middle aged housewives do, so if I want to sell Instant coffee I should probably advertise there – and I do. My Mum doesn’t ever watch that kind of TV either, neither does my mother in law, however I’m willing to trust the statistics and accept that the two middle aged women in my life do not necessarily fit societal norms. Why is it then that when it comes to gaming people are so dismissive of it? I think part of the problem is that the instant mental image that is conjured up when we talk about gaming is of hyper violent block buster games such as GTA and Modern Warfare. 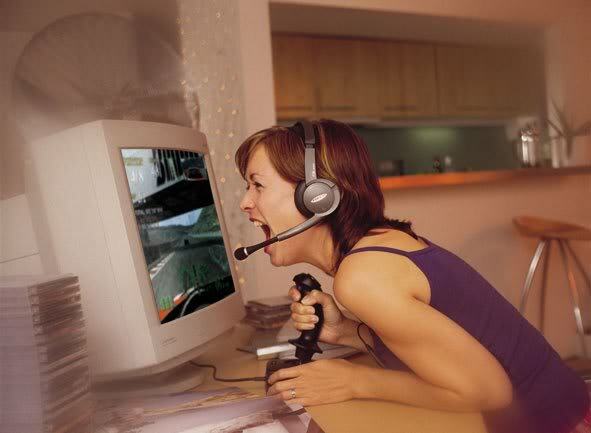 Quite correctly no-one can picture their Mum or little sister playing that game and so dismiss all games. They conveniently forget about Singstar, WiiFit, Farmville and Rockban because it doesn’t fit with their view of the world. The thing is it is our job and responsibility as media planners to shed our own preconceptions and prejudices when we develop a communications strategy. We have to accept that we very rarely resemble our mass target audiences in any way. If we don’t do that, then we have no chance of persuading our clients to ! A friend recently sent me this link. 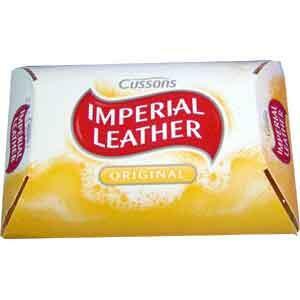 I found myself being delighted by an 1100 word review of Imperial Leather. It was a lovingly written and detailed product review of a bar of soap! Not even some new fangled exuberance gel/exfoliating scrub/pore reducer, just a simple, honest to goodness bar of soap. Not only that, but 66 people had rated his review as “very helpful” and 15 people had left comments – all of which were nostalgic and very positive. I’ll be using this example every time an FMCG client of mine questions the value of social media for their category of brands. Consumers of all ages, shapes and sizes are using social networks, review sites and forums to express their enjoyment or otherwise of every category under the sun. We often choose not to engage with this medium because (a) we don’t know how and (b) we think “surely people can’t be bothered to interact with their brand of [insert mundane houshold product here] they just want to use them and move on” and we are probably right about 99% of people, but that 1% of people who is truly passionate about your product has the power to do so much more good or bad for your brand than any advertising campaign or promotion. These kind of rewards surely are worth working for. A Brave new virtual advertising world? Stage 1 – the Experimental wave – advertisers tried to integrate their brands into games in a number of different ways – from sticking logos on bananas to creating whole Xbox games around a Burger King character. No-one really knew what to expect from it and were just happy to learn. There were no standard ad formats, everything was custom. Mark then went on to talk about Natal and how it could be a game changing device in allowing consumers to engage with brand communications on their own terms. This all sounded fine, but they never really got beyond this idea that advertising in games could be anything more than rich interactive TV. I’m a big believer in the potential of games as media channels for any number of different audiences, I didn’t go to the round table to be convinced of that. However when I tried to really probe where they felt the future of the medium was, I was just referred to the existing formats that they are using in Xbox live. When I asked how they were using consumer insight into the role of gaming in their lives as a way to make advertising more relevant I just got blank looks. As far as they were concerned it was a simple formula – Audience+Engagement= You should advertise here! The idea that we would want some real understanding of how a brand could complement and enhance the gaming experience by leveraging gamer insight seemed to baffle them.